The original icon (above) of Our Lady of Glastonbury hangs in the Chapel of Saint Simeon & Saint Anna, Combe Martin. It was painted by Fr David (of blessed memory) founder of the Orthodox Brotherhood of Saint Seraphim at Walsingham. It depicts the Mother of God and Her Son. Christ holds the universe and the Holy Thorn. Also represented are the Archangel Michael, Saint Aristobulos, Saint Joseph of Arimathaea, Saint Patrick, Saint Brigid, Saint Beon, Saint Indracht, Saint Fili, Saint Kea, Saint Ruman, Saint Domenica, Saint Collen, Saint Gildas and Saint David, all of whom traditionally have associations with Glastonbury. According to Glastonbury's list of relics Rumon was a son of the King of Brittany. He was born in the early sixth century and probably studied the Scriptures in Ireland, returning to Britain with St Breaca. Although he is the patron saint of Tavistock and was a companion of Sts Fili and Kea and features with them on our Glastonbury icon, the stories of his life have him in Brittany. There he built a hermitage and local peasants and grandees alike sought his advice. When he died his body was originally buried in Brittany. According to Sabine Baring-Gould his relics were brought to Britain for safety during the Viking raids in the early tenth century. 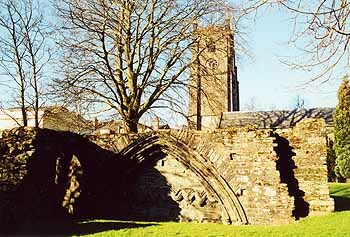 In 960 they were brought to the newly founded Tavistock Abbey and there they worked miracles until the monastery was dissolved by Henry VIII. St Gildas came from the Clyde area, son of the northern King Caw. He was educated in the south then returned home to do missionary work, which later took him to Wales. Not only was he a monk but also a historian - mostly remembered for his work 'De Excidio Britannae'. Some stories associate Gildas and his family with King Arthur, with whom there was a long-standing feud, which was finally settled with the help of St Cadog. 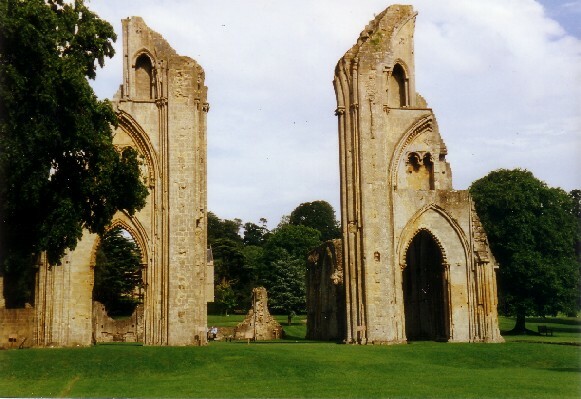 St Gildas lived much of his life as a hermit, for a while on the island of Flatholm in the Bristol Channel and finally in Street, then known as Llantokey, where he died on 29th January 570 and was buried in Glastonbury Abbey. St Brigid was born in Ireland in 452 to a Christian mother who was a slave of her father, the pagan chieftain of Leinster. Brigid suffered hardships as a child but she remained cheerful and was kind both to people and to animals. Like her mother she worked for her father in the kitchen and dairy and gave away food to the poor. When her father protested she replied, "Christ dwelt in every creature". He tried unsuccessfully to sell her to the King of Leinster and eventually gave her freedom. Brigid refused good offers of marriage and instead founded the first women's monastery in Ireland at Kildare, so called because it was under a giant oak tree and was known as the 'church of the oak', or Cill Dara. This monastery became a centre of religion and learning. Brigid also founded a school of art, which became famous for illuminated manuscripts, as well as continuing to help the poor and the sick. Whilst comforting a dying pagan with stories of Christ, she unwittingly wove a cross from the rushes that covered the floor. 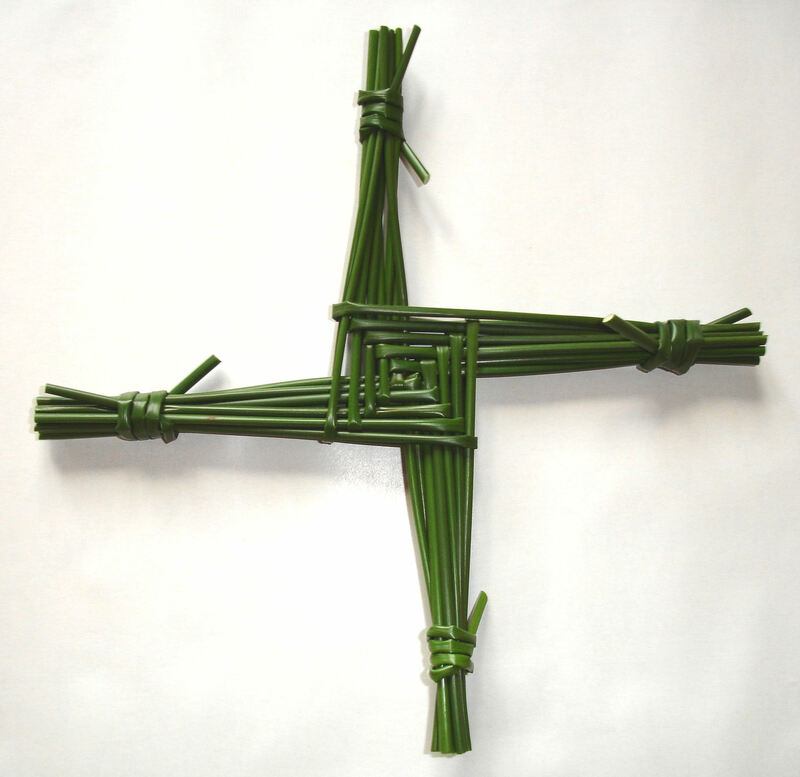 This simple rush cross known as St Brigid's Cross is still made in Ireland and placed in the rafters of houses on her feast day. Brigid died on 1st February 525 in Kildare. Bridestowe parish church, near Okehampton is dedicated to St Brigid. 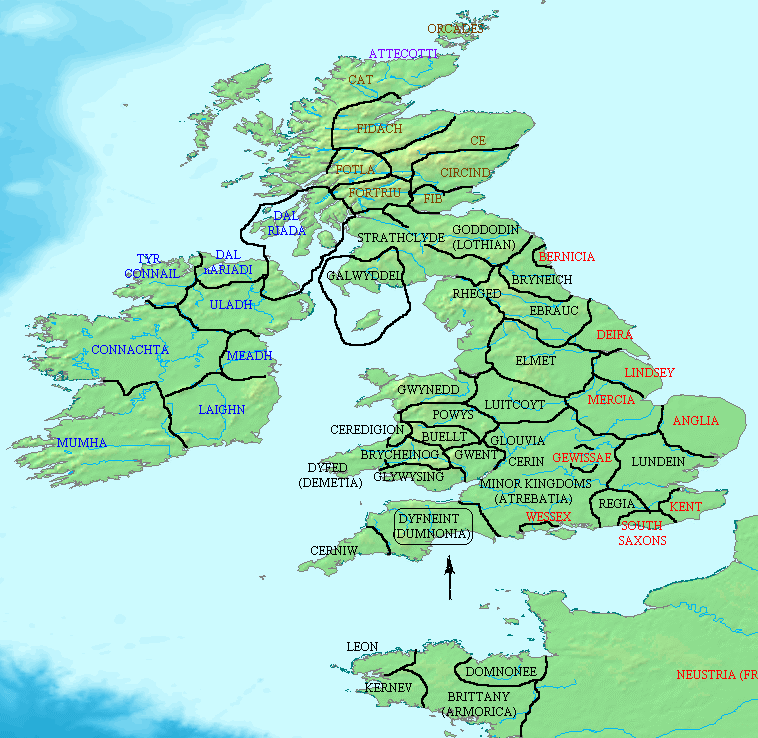 St Ia was born in Ireland in the fifth century and later came to Cornwall. She should have come with St Fingar and his companions but they set off without her. Obviously her mission to Cornwall was pleasing to God because miraculously a large leaf appeared to take St Ia on her journey, and although she left after St Fingar's party she arrived before them. She spent many years doing Christ's work before she was martyred along with other missionaries. St Piran is another fifth century saint of Irish heritage. He spent his youth in South Wales where he became friends with St Finnian and the two men returned to Ireland together. As an old man in Ireland, St Piran was captured by local pagans who were jealous of his power to heal. They put a millstone round his neck and threw him off the cliffs into a raging sea. As soon as he hit the water the seas calmed and the millstone became like a cork, which he used as a raft and set sail for Cornwall. He landed at Perran Beath and built an oratory at St Piran-in-the-Sand. According to Geoffrey of Monmouth St Piran became chaplain to King Arthur at Tintagel. St Piran became popular in Cornwall because he provided the people with a profitable living. Having made a fireplace from a large lump of black rock, he noted that as the flames grew hot a trickle of pure white metal (tin)oozed from it. This white trickle on a black rock is symbolized in the Cornish flag: a white cross on a black background. St Petroc was the son of a Welsh king, but he refused to succeed his father. Instead he and his retainers became monks. He spent some time in Ireland before going to Cornwall. He landed in the Camel estuary with a group of companions (Sts Croidan, Medan and Degan whose memories we also keep today) and travelled to Padstow. On the way he met some men working in the fields and asked them what their religion was. Not being a couth bunch and wanting to test Petroc's holiness they said they were thirsty and asked if he could make a rock produce water. Petroc hit the rock with his stick and out came pure fresh water, and this spring has never dried up. Petroc lived in Cornwall for thirty years, founding a monastery in Bodmin where he observed a strict and severe rule - spending nights in cold rivers and eating a very meagre diet of bread and on Sundays, because it is the day of the Resurrection, a few pulses. He was a great lover of animals and his saving a stag from huntsmen led to King Constantine of Cornwall being converted to Christianity, and later dying as a martyr. St Petroc was also a great traveller. He went on a pilgrimage to Rome and then to Jerusalem. From there he set out for the East, to India and beyond before returning to Cornwall seven years later. On 4th June 564 Petroc succumbed to the rigours of his ascetic life and constant missionary work and his body was interred at Bodmin. But Petroc's travels didn't stop there. After the feast of the Epiphany in 1177 a Breton priest stole the body and took it back to Brittany as a gift for the Abbey of St Meen. The prior of Bodmin appealed to Henry II who ruled Brittany at that time and the monks of St Meen relinquished the relics and they were returned to Bodmin in an ivory casket, which itself was stolen only a few years ago. St Nectan was born in 468, the eldest son of a Welsh king, and had twenty-four brothers and twenty-four sisters. He was inspired by the life of St Anthony of Egypt and became a hermit. He left Wales intending to live wherever his boat landed, which was at Hartland Point. At nearby Stoke he built a church and a hermitage and lived a solitary life, except for his brothers' and sisters' annual visit after Christmas. In 510 Nectan was given two cows by a swineherd for helping find his lost pigs. On 17th June that year two robbers stole the cattle, but Nectan tracked them down and tried to convert them. In their turn the thieves cut off Nectan's head. Nectan picked up his head and went home. It is said the dark pink foxgloves that line the verges in June grow where drops of his blood fell. Back in Stoke he laid his head upon a rock by a well and died. St Brannoc lived in the sixth century and was tutor to the children of King Brychan of Wales. He left Wales for several years, first travelling as a pilgrim with the king to the Tomb of the Apostles, then spending some years in Brittany where he founded many churches. He is said to have come to North Devon floating on a stone coffin and first settled in a cave in Mortehoe. He built his first church in the area where St Brannoc's Well is now, but it fell down. In a vision he was told to build a church where he found a sow and five piglets, and he found them in the village of Braunton. Having settled in Braunton he spent his life teaching holiness and husbandry. St Urith lived in the 7th century. She was born in East Stowford, near Barnstaple and converted to Christianity by St Kea. She lived as a hermit in nearby Chittlehampton, where she founded a church. At the behest of a jealous, and pagan, stepmother some female haymakers killed Urith with a scythe. The moment she fell to the ground and died a spring appeared at that place. She was buried in the church she founded. From that moment her shrine became a popular place of pilgrimage - Chittlehampton church owes its tower to the pilgrims' donations. As with so many of the country's other sacred sites, her shrine was removed during the Reformation and veneration of her relics forbidden. In the county of Devon, in a city called Exeter after the river that flows through it, there lived a man of noble birth and virtue by the name of Beorna. He had one son and four daughters - one of whom was recognised to be of great goodwill in the Lord; her name was Sidwell. Nature and grace so worked together in her that they conferred on her a title of praise for beauty of form and moral integrity. But since the good are often persecuted by the jealous, and traps are sometimes laid for those having good fortune, after the funeral of her mother she was soon falsely ensnared by a stepmother's hostility. Thus, Sidwell was persuaded by a stepmother consumed with greed to go out through the city streets and beyond into the fields of which this schemer planned to rob her, harbouring in her breast a wicked plot to murder the holy girl. And so one day the serfs mowing meadows outside the city walls were induced by her to undertake a deadly attack on the virgin the following day, when she would come by herself to bring them food. Seduced by the hope of reward, the serfs agreed, promising to carry out the woman's instructions. Next day the virgin, holy and guiltless, carrying down the food by herself to the meadows that were being mown, was sent by her stepmother to execution. As the virgin came near, these most wicked serfs drove their scythes through the neck of the innocent one. While approaching however, she had forebodings of her death; she calmly handed them their food and fortified herself with prayer. Her head cut off, she rendered back her spirit to her Creator. Now the Divine Mercy, which distributes gifts of different kinds, not hesitating to make manifest the purity of virginal innocence caused the clearest of springs to well up in the place where the virgin's blood spattered. Seeing this, the butchers wanted to conceal the villainy they had perpetrated; and although unable to cover the spring with grass, they tried to hide the body. But lest through their silence she should be robbed of her title to sanctity, the city watchmen on their nightly rounds saw a brilliant shaft of light from out of heaven shining over the virgin's body. This they saw for three nights; and on the fourth night following, to their dread, they saw the body of the virgin herself, surrounded by a radiance, carrying her severed head in her hands, from the place of her martyrdom to the place where the faithful Christian community subsequently built the virgin's church. Here in the morning, prompted by the heaven-sent sign, the people came in haste and found the virgin's head, not rolled elsewhere but joined to the body, just as if it had been placed there by the care of the faithful. So she was buried in that very place, Christ's martyr Sidwell, by whose merit into our own times, the lame walk, the blind see, and a multitude sick with various diseases find healing and perfect health. St Winifred, St Gwenfrewy in Welsh, was the daughter of a rich Welsh Lord. Wishing to escape the attentions of some young princes, she moved away with her uncle, St Beuno, to Abeluyc. One day when Winifred was left alone in the house whilst everyone else had gone to church, King Caradog stopped at the house. He was very taken with Winifred's beauty, but she was not taken with his advances and rejected him, whereupon he tried to use force. Winifred fled to towards the church and the furious Caradog chased her. On the steps of the church Caradog cut off her head. Immediately, a spring of pure, clear water appeared where her head fell. St Beuno rushed from the church and taking her head he set it back in its place. Then he and the congregation prayed that she would be restored to life. Their prayers were answered. In thanksgiving, Winifred decided to devote her life to Christ, first staying in the church at Abeluyc with eleven maidens to whom she gave religious instruction. After a pilgrimage to Rome she called the holy men and women of Wales to the 'Synod of Winifred', where it was agreed that living a religious life in a group was preferable to the life of a hermit. Creating new establishments similar to the one at Abeluyc was not easy for Winifred as not all the hermits were interested in these new-fangled ideas. Eventually she met St Tenoi, mother of St Eleri, and they set up a monastery in the village of Gwtherin. Winifred eventually became its abbess and when she died on 3rd November 660 she was buried in the cemetery there. In 1136 her relics were moved to Shrewsbury Abbey where a splendid shrine was created. 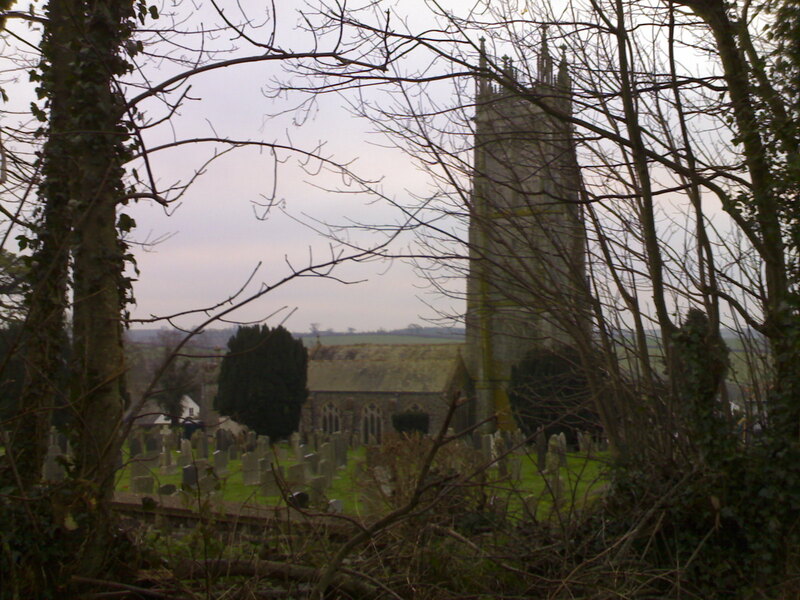 St Winifred is not a Devon or Cornish saint, but Manaton church is dedicated to her and Culbone church also has a connection with the saint. This tiny church (35 foot long) is situated in a steep wooded valley near Porlock and can only be reached by foot. The name Culbone is thought to come from 'Kil Beun' meaning Church of St Beuno, St Winifred's uncle, born in 550. He died in 642 and his feast day is 21st April. St Kea was possibly of Cornish descent and came as monk from Glastonbury to preach to our part of the West Country and would have been a companion of Sts Fili and Rumon. Kea must have spent some time in Ireland as one story says he came to Cornwall from Ireland floating on a stone. He had been so upset when he was left behind by fellow monks that as he prayed he fainted. When he came round the hollow stone he had been kneeling on was afloat. After many days drifting through storms he arrived at Churchtown Creek on the River Fal. Article published in English on: 27-9-2010.